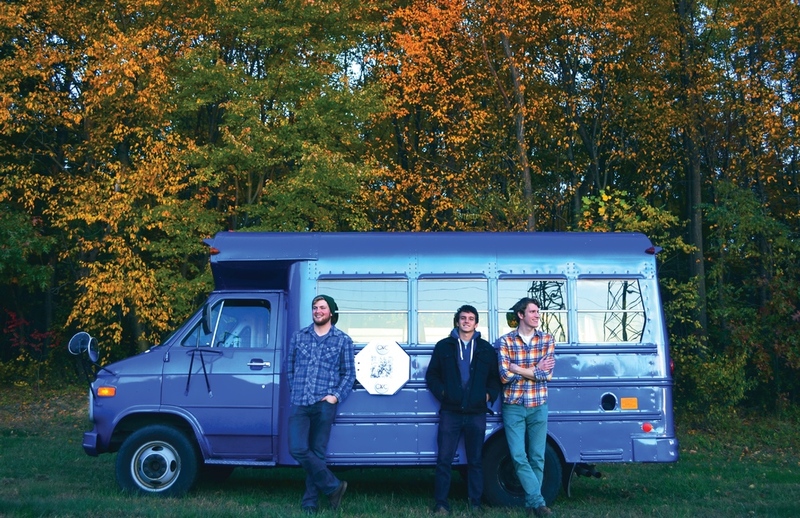 We decided it was time to start touring, so Brian bought a mini school bus, painted it blue, and we named her Bluebird. Over the winter, we’ll be working to convert the bus to a camper, and we’re planning the maiden voyage for February. If you’d like us to visit your area, please send us an email (coldweathercompany@gmail.com) and let us know where to go! We'll also be sharing Bluebird's conversion progress here as we move forward. 11.20.15- Our first official trip with Bluebird went well! We played in Ithaca for the first time and made some awesome new friends. We then spent the rest of the weekend in a cabin at Lake Wallenpaupack work on our next album! Here's a shot from Cayuga Lake. 11.20.15- A view from the road. 11.21.15 Please give a warm welcome to the newest member of our band, Edwing the Bus Owl! Scored at a thrift shop in Lake Wallenpaupack for $3. 2.18.16 - We took Bluebird on its biggest test yet, the 'Bluebird to Blue Ridge Tour' - and made it back in one piece! 2.19.16 - Bluebird on a Bridge - En route to Baltimore. 2.21.16 - 7/11 at 11. - En route to Harrisonburg, Virginia. 2.23.16 - Post-Luray Caverns fog. - Luray, Virginia. 2.24.16 - Before the storm. - En route to Carrboro, North Carolina. 2.24.16 - After the storm. - En route to Carrboro. 2.24.16 - Running into friends. - En route to Carrboro, North Carolina. 2.27.16 - A BBQ pit stop. - King, North Carolina. 2.28.16 - The New Jersey sunrise, bright and early.